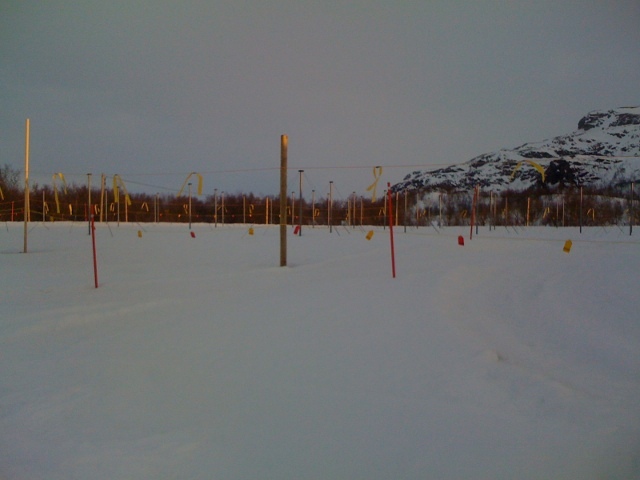 Kilpisjärvi Atmospheric Imaging Receiver Array: Uniform snow depth over the LBA field. One thing that we are particularly pleased about, is that we had correctly anticipated the snow drift patterns, and had left sufficient space between the low-band antenna (LBA) array and other raised and depressed areas around it (such as the edge of the mound and the HBA array). This means that the snow cover across the field, while deep, remains uniform. 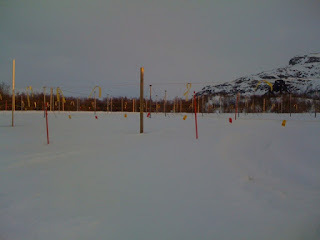 It will be interesting to watch the heating pattern as the season warms up, and see whether the melting is also uniform.